Trim Reaper Trimming Machine - ON SALE! - FREE Shipping! THIS IS THE REAL DEAL NO KNOCK OFFS SEEN ELSEWHERE GET YOURS BEFORE THEY ARE ALL GONE! 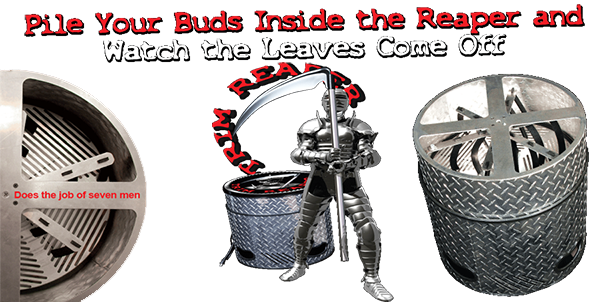 Pile your buds inside the trim reaper and watch the leaves come off! When harvest time comes and you've trimmed your flowers off the main stems and piled them up ready for manicuring, the trim reaper trimmer stand ready to cheaply and conveniently do the job other people used to do. Its so simple and easy, and it saves money and time the trim reaper weed trimmer is the #1 choice. All you do is pile your flowers inside the trim reapers aircraft aluminium chamber , flip the power switch and sit back while the reapers precision sharp blades quietly and expertly trim your cannabis so they look at feel like the sweet nugs you and your friends have grown to love. Trim Reaper isn’t like those other low-cost manicuring machines you’ve seen, the ones that are complicated to use, have too many parts, hard to clean, unreliable, electrical problems, motors burn out, what a mess, and hey you’ve seen all that and worse. 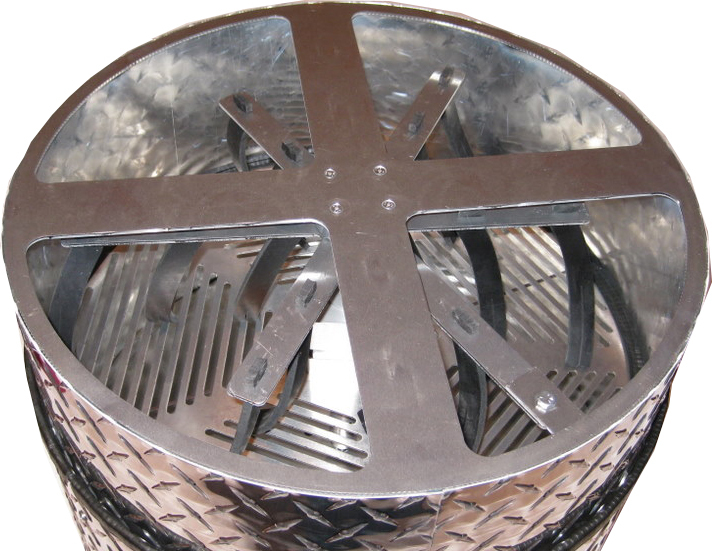 Instead, the Trim Reaper is built by pros for pros like you who want to save time and fingers. Besides that, the Trim Reaper saves your leaf material so you can use it for water extraction or other methods of making the most of your crop. That’s all there is to it. You replace human trimming and all of its hassles with an easy to use machine that lasts a long time, works hard for you, and gives you flowers that look like they were lovingly and tenderly trimmed by a meticulous human manicurist. All this from a portable, easy to use, lightweight unit that’s ready to expertly do your flowers anywhere that you give it electricity. So look, your next harvest is coming up pretty soon, and it’s going to be a big one. Whether you’re running one light or 20, whether you’re using T-5 fluorescents or 1000-watt digitals, Trim Reaper makes your life much easier. Get Trim Reaper today so you can spend a few hours getting your entire crop manicured, instead of a few days. This is my second trim reaper trimmer I love this machine and recommend it to all my buds. Glad its back in stock. Thanks guys!